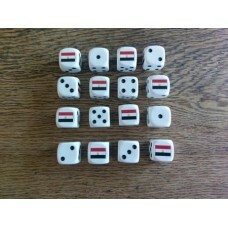 A Set of 16 - Egypt/UAR Dice (16mm). 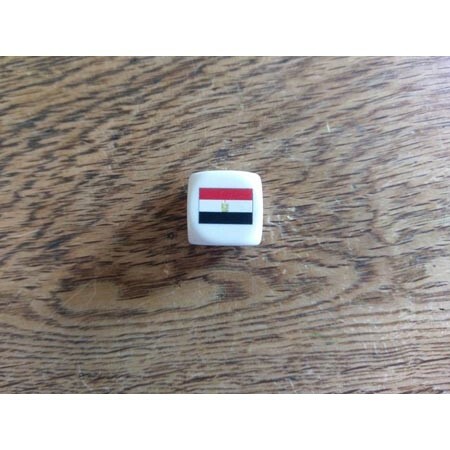 These custom designed dice have the Egyptian flag Logo PRINTED where the 6 would be. Please be aware printed dice can rub off over time if care is not taken. 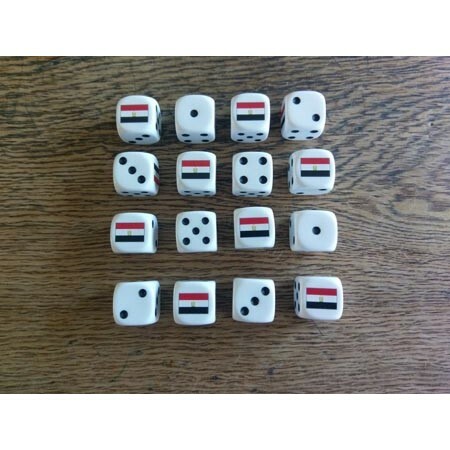 For use in historical miniature wargames such as Fate of A Nation.